The trucking industry is vital to the economic structure of our nation, and it is currently experiencing a critical shortage of qualified drivers. Our CDL training program is designed to provide our students with the valuable skills necessary for a lifetime career opportunity in the trucking industry. Attend four weeks of weekday training. Attend two weeks of weekday training. Carolina Trucking Academy in North Carolina will assist you in meeting the safety, skill, judgment, and attitude requirements necessary for successful employment in the trucking industry. By supplying safe, competent, qualified drivers, Carolina Trucking Academy helps the trucking industry to move the freight this country depends on for its economic health. 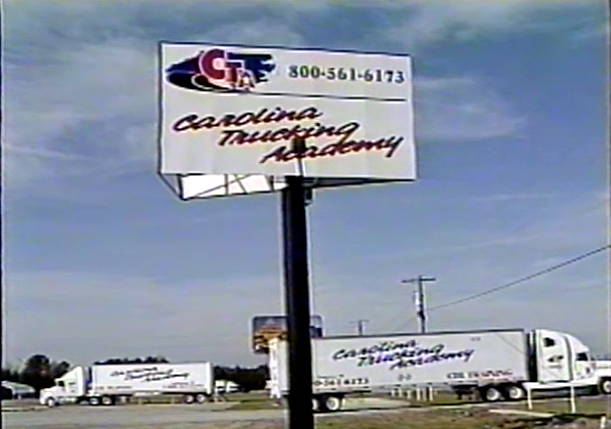 Our goal at Carolina Trucking Academy is to successfully place you with a trucking company prior to enrollment. Our career counselors will inform you of current openings and help you choose a career path that best fits your lifestyle. The Upfront Career Planning Feature of our program has allowed Carolina Trucking Academy to place 100% of our graduates on a solid and long term career path. The Life Time Feature of our job placement process assures each graduate continued career development support. We will continue to provide employment support after graduation, if needed. Find out why we are different and why you should choose our CDL courses. At Carolina Trucking Academy your success is our success! Contact us now to get your Trucking Career started! Copyright © 2019 Carolina Trucking Academy. All rights reserved.